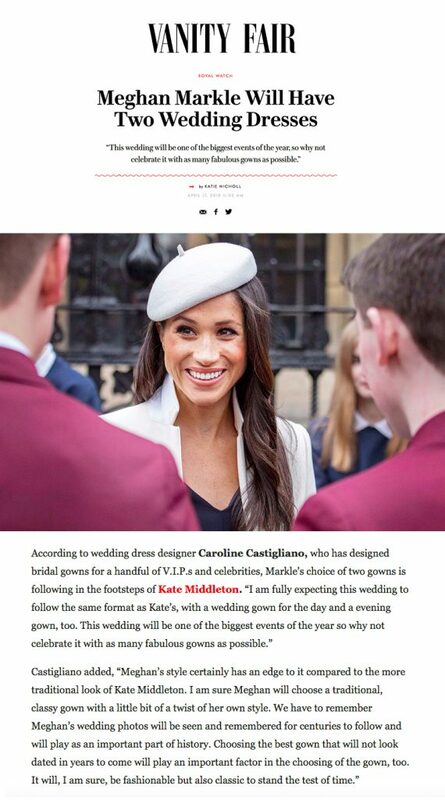 The lead-up to the Royal Wedding between Prince Harry and Meghan Markle was a very busy time for Caroline Castigliano. 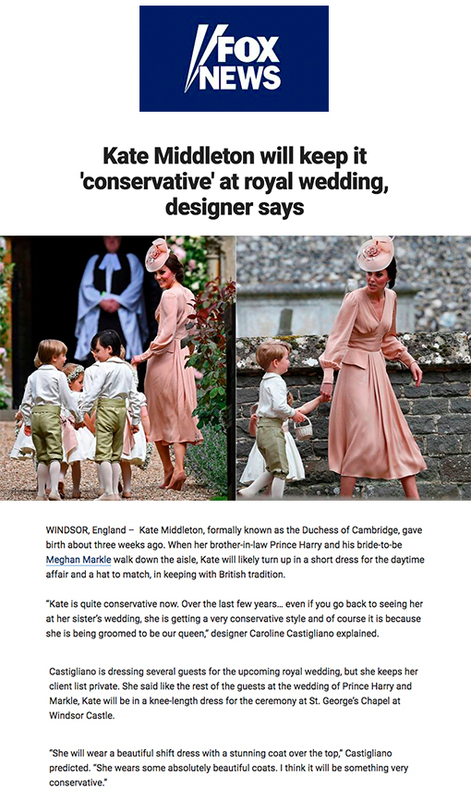 Her expertise was enlisted by media worldwide who flew in to cover the new Duke and Duchess of Sussex’s magical day. 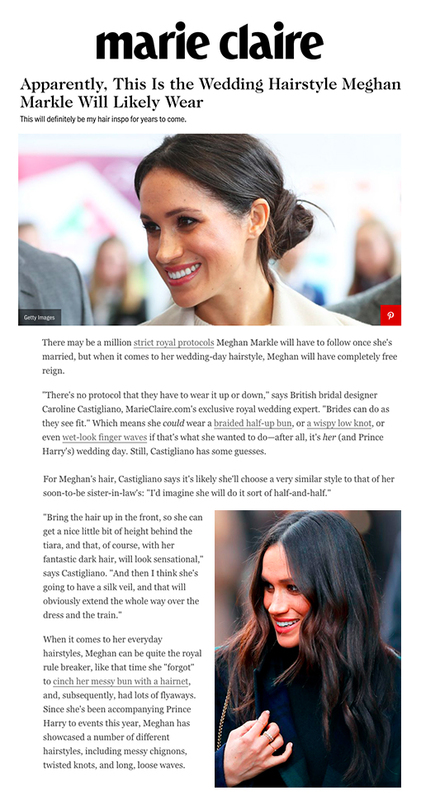 As well as being marieclaire.com’s royal expert, Caroline was interviewed by BBC, ITV, SKY News, Access Hollywood, CBS, NBC, KTLA, WSVN, France 2 and CTV amongst others. Watch a selection of video interviews below and scroll down for more coverage. 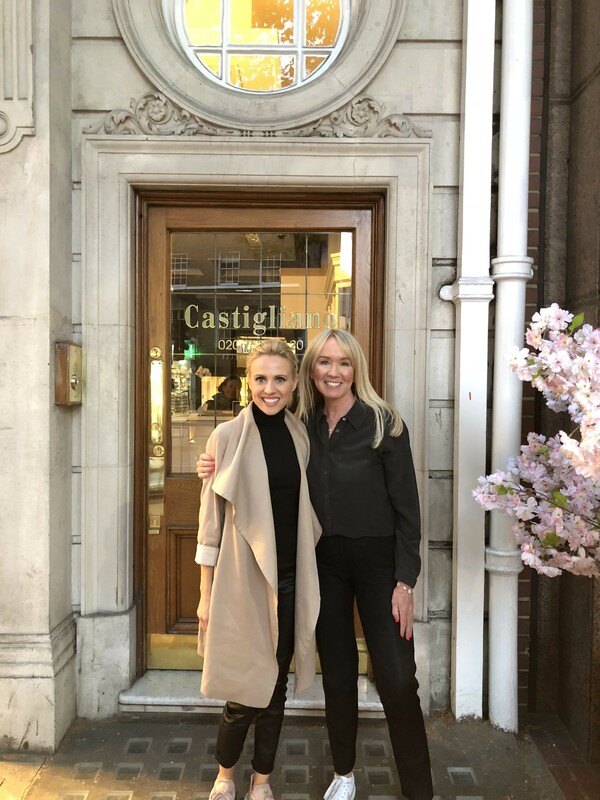 As well as meeting with American press in New York, Caroline opened the doors to to her exclusive flagship store in Knightsbridge, London for interviews with worldwide press and was reporting live from Windsor on the Thursday and Friday the week of the wedding as well as on day of the wedding and the day after. 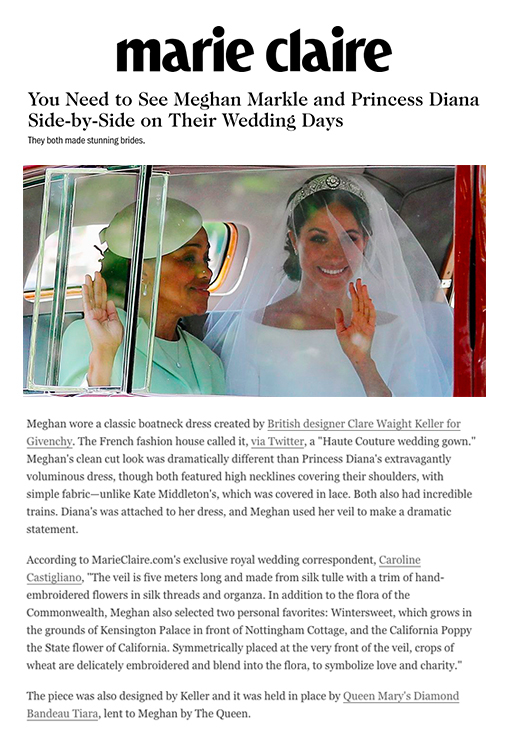 “Meghan Markle, looked stunning wearing Givenchy by British designer Clare Waight Keller, and the gown certainly met with Meghan Markle’s taste for an elegant aesthetic and smart tailoring. 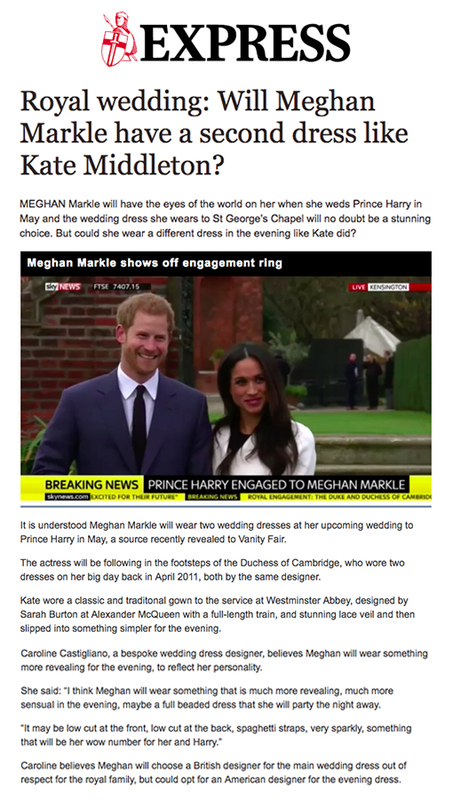 Her gown was incredibly simplistic and Meghan managed to completely differentiate herself from Kate Middleton and Diana’s wedding gowns. 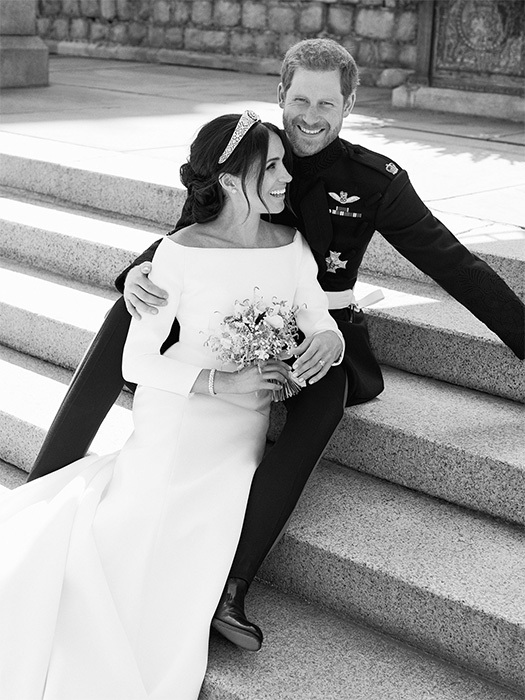 The bateau neck line sat gracefully on her shoulders and Meghan has done an excellent job of making her mark in history with her wedding gown and is certainly following in the foot-steps of Diana who was a fashion icon in the public eye for over 16-years. She kept her hair low swept in a simple bun compared to Kate’s blow out hair. 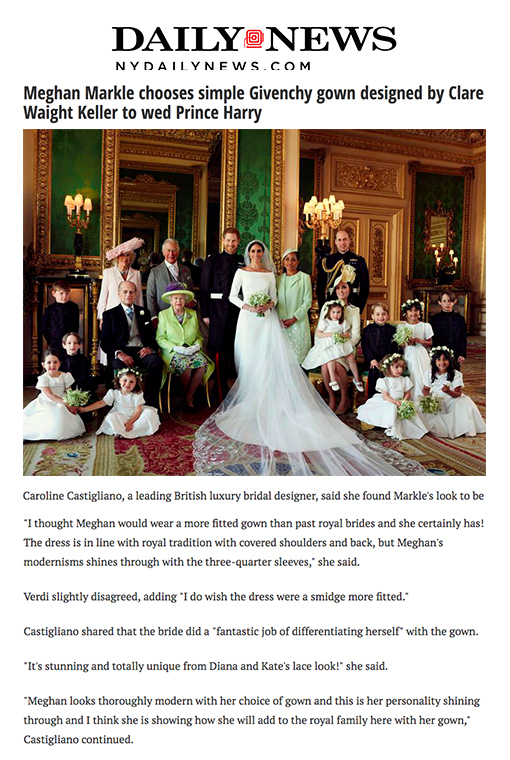 Meghan is always incredibly thoughtful with her fashion choices and having the flora of all 53 countries of the Commonwealth hand-stitched in the five metre veil was lovely. The balance of the whole look was just right, just the right amount of jewellery with her Cartier earrings and bracelet and the look finished with The Queen Mary Tiara from the Queens vault”.